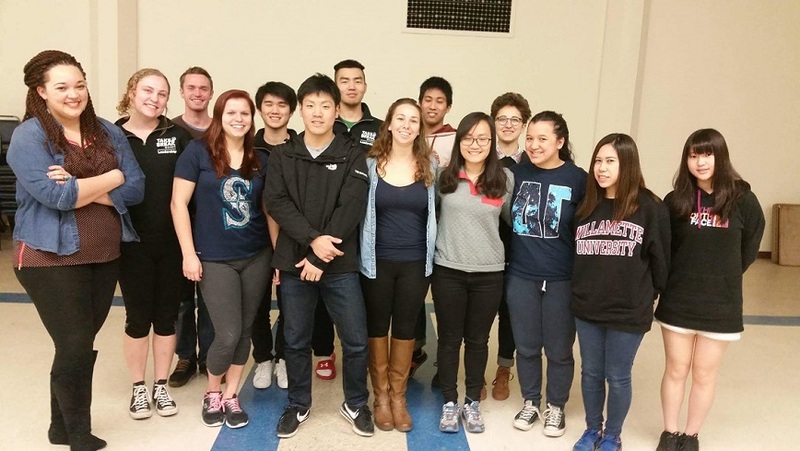 Take-a-Break is a Willamette University spring break volunteer program. Willamette reserves spaces every year for ASP students, and ASP students must apply for one of these spaces in order to participate in the program. 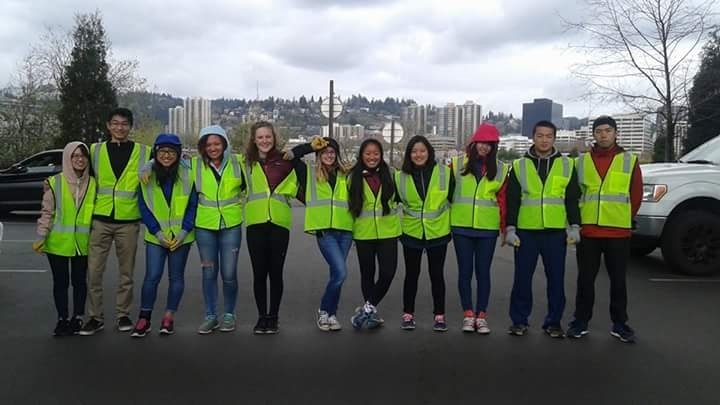 During the week, students will volunteer alongside other Willamette students and learn about various social issues in the United States. 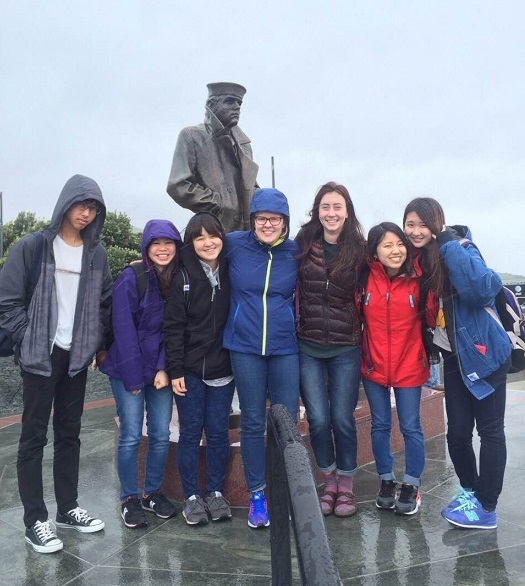 You can read about students' TaB experiences and what they learned from their trips! I participated on the “Take a Break” trip which is a volunteer activity. I learned about disability and ableism, but it’s not the only learning. Today, I’m going to talk about my experience on my TaB trip. I have three opinions. First, of course, we can study about volunteering and topics on each trip. I didn’t know anything about disability, and this was the first time for me to volunteer in America, but I think I could study a lot about topic this. I met mentally handicapped people why were speaking normally and were more cheerful than us. Therefore, I got energy from them. Secondly, we can live with American people for a week. 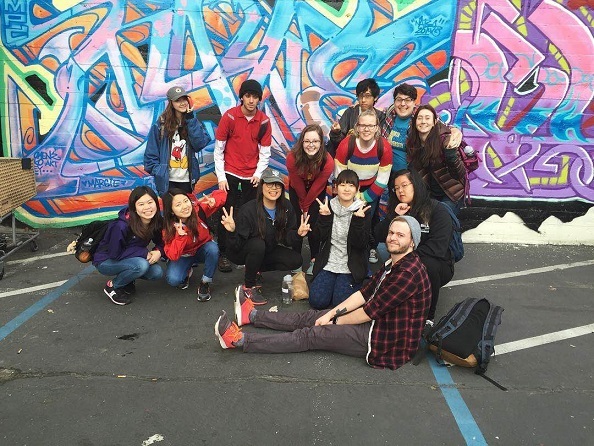 It took nine hours by car to go to California with nine American students and five ASP students, and we stayed like a share house. We did part of the roles each days, so a member cooked dinner and cleaned the room. At night, we expressed our opinion impression. These was really good experience for me, because the spring program has a lot of Willamette students. I could mak e many Willamette students friends, they are friends even now after half a year. I often talk to them when I meet on campus. I could learn many things of American culture by TaB trip. Finally, I could get a listening skill which is pronunciation of native English speaker. We stayed with members all days. I wasn’t bored because American people often speak many topics. We went to many place where were college, foster home and communication center. I couldn’t understand all conversation, but I could learn slang wards for disability and used by American people. In conclusion, I learned many things, and it was memorable trip in my life. I participated on the TaB trip about the environment. It was hard and tiring because we got dirty doing volunteer work, but it was a really valuable experience for me. I helped a bus company in Portland with a questionnaire, made a bridge in a forest, and a lot more work. I made the path wider for the person who will make a bridge because the path in the mountain is small. The reason why we prepared the bridge in a forest is because it is dangerous, and to prevent hikers from falling on hikes. This program is very hard so that’s why I write it here. Because of the TaB program, I changed three things in my personality. First, I improved sense of responsibility because TaB takes requires group action, and we must act together. You cannot keep troubling other members if you act irresponsibly while you don’t do your work. Second, I improved my cooperation skills for the same reason. Finally, I improved my English skill. This program is great opportunity to raise your English communication skill because TaB member are mostly Willamette students so you have to speak in English and you can make many Willamette student friends. I was able to learn a lot things by this program. 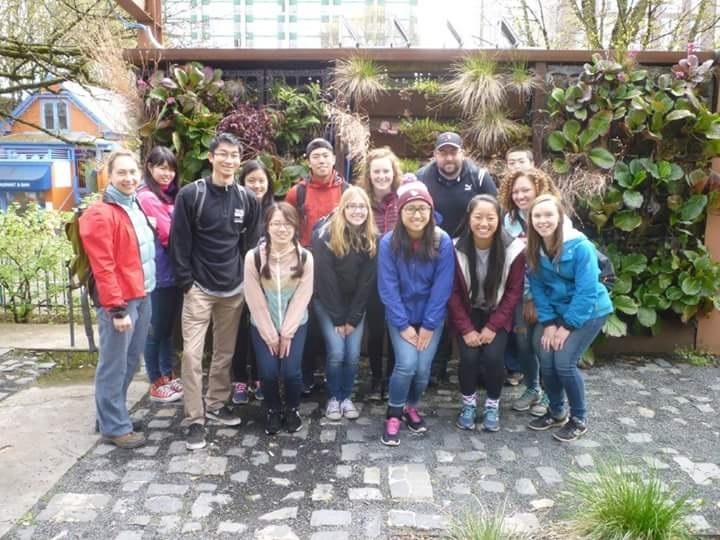 I took part in the spring TaB trip about environmental preservation. I participated in various volunteer projects during the time. 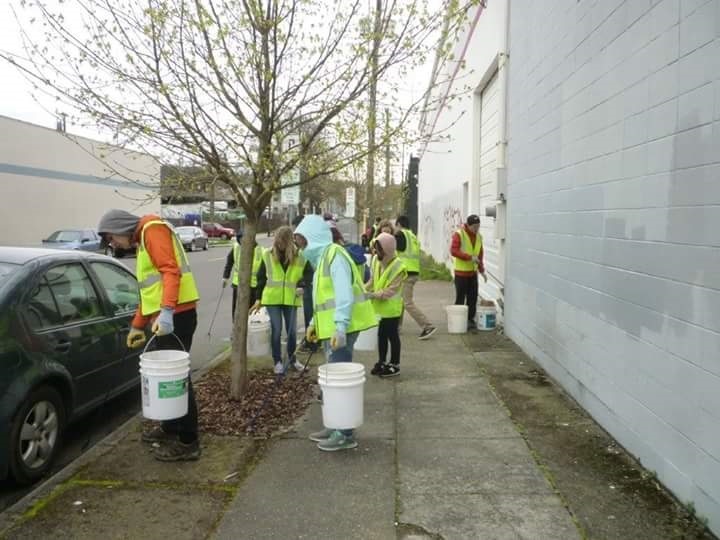 For example, repairing a forest trail, learning the ecosystem of Portland, and cleaning up trash. It was hard to understand and express my opinion, but I tried to listen hard and ask questions again and again. I wrote down my opinion about the volunteering before every reflection time (discussion time in English) at night. 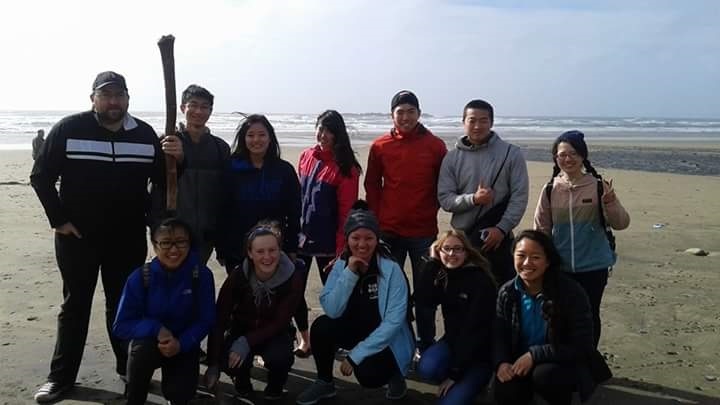 I learned a lot of English and also about environmental protection and experienced American life with Willamette students every day. If you challenge this and never give up, this is one way you can lead a full spring break. It was a great experience for me. I participated on a Take a Break trip and I could learn about various things in this program, so I would like to introduce about my TaB trip. My TaB group topic was environmental preservation. 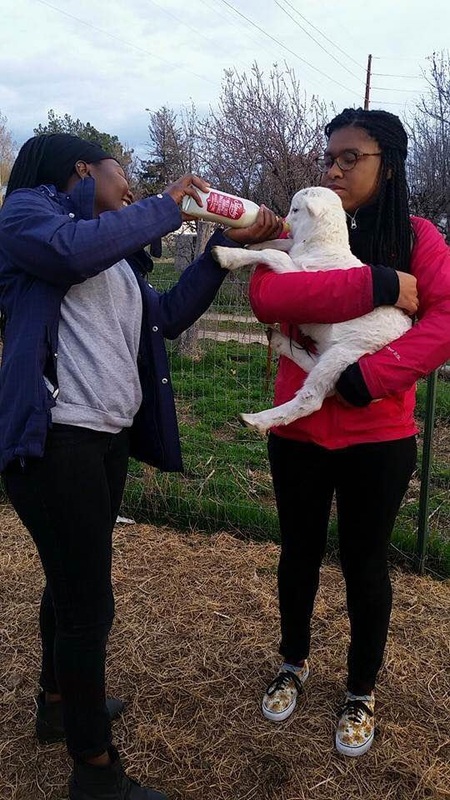 First, I learned about volunteering with my group members. I joined proper volunteering for the first time, so it was interesting for me. I made the rail road in the forest, learned about Native Americans, saw nature and picked up garbage in this trip. In addition, I hiked in forest to make rail road. It was the hardest thing for me but I could feel nature and I could learn important things about volunteering. In addition, I could make friends with Willamette students. 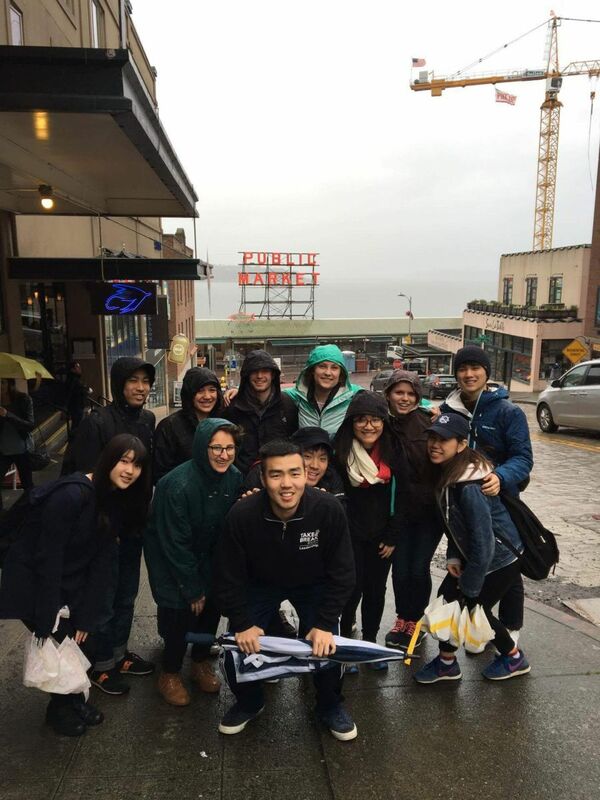 When I was confused about volunteering, Willamette students helped us in the trip. They were so kind to us, so it was very good opportunity for me to talk with Willamette students. Furthermore, I stayed in a church and I did camping. I could know American style which is breakfast, dinner and so on. Also, this was the first time to camping for me, so I could know about new things. Finally, it was an important experience for me. I could learn about various new things. I will never forget this experience. Thank you. I recommend future ASP students think about applying for a TaB trip. I could get a lot of valuable experiences which I cannot learn in Japan, such as visiting an American farm and learning about refugee issues. For ASP students, the first break is spring break. It is so important to get and keep motivation to study English and succeed in your study abroad. 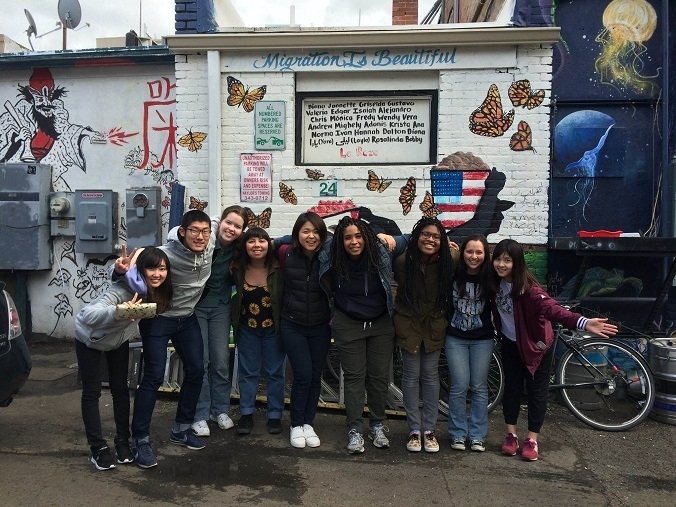 If you are able to take part in a TaB trip, you can get not only knowledge about your TaB topic such as food justice and youth homelessness but also English skill and friends who are both ASP students and Willamette students. I appreciated the opportunity to have conversations in English with other Willamette students during this one week. I learned many things fr om my Tab trip. At first, I learned about social issues in the U.S. I participated on the trip about youth homelessness. I was so surprised because it is different between America and Japan. In America, there are many organizations to help homeless people. However, the organization needs more resources, such as shelter space and food, because many homeless people live on the road or some place. They always receive allowance from the organization. An allowance means things like a sleeping bag, clothes, food, or medicine. Therefore, the homeless population needs organizations. 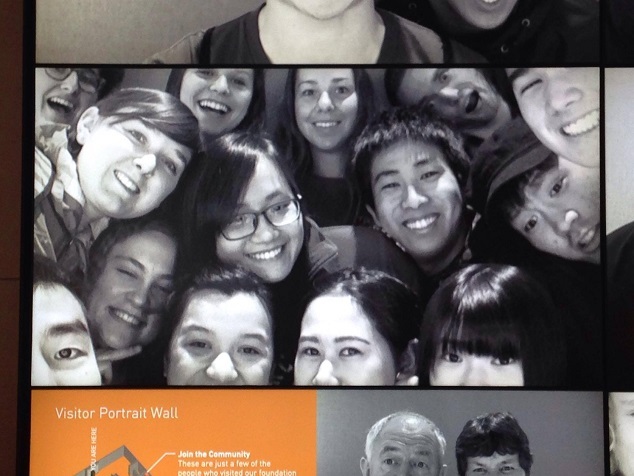 I think I cannot experience this volunteer program in Japan. I could learn about social issues and could make new Willamette student friends. It was an unforgettable experience for me. I joined a Tab trip which is "youth homelessness." I could learn about American social problems and local organizations, which helps homelessness. I had struggled through a week because Willamette students proceeded with discussions very fast. First, I couldn’t understand very much, but as the day passed, I could understand what they talked about. It is my good turning point in my study abroad life. I became accustomed to listening to English and I could have awesome friends. You don’t need to worry about your language and knowledge of American society. They can help you and you can learn about society. However, please be curious about everything and ask Willamette students or organizations your questions. They’re glad to tell you. I can learn about American social problems as well as positive attitude of Willamette students. I was able to have confidence after my Tab trip! !